What Is It Like to Be Addicted to Heroin? What is it like to be addicted to heroin? 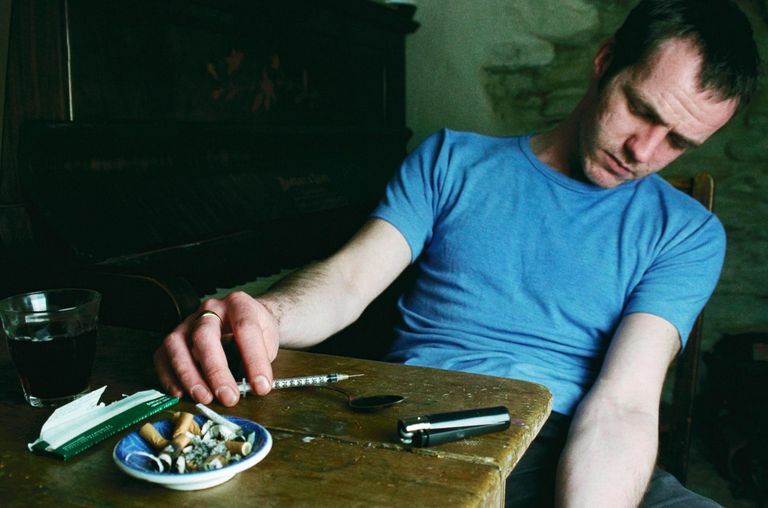 What is life like for a heroin addict? How does it feel to have a substance so much in control of your life that you can no longer make rational decisions? I am trying to stop using heroin. Well, in fact, I have been trying for several years now. I have been to prison 17 times and each time I come out, clean, I still go and use and get a "habit" again. Why do I do this? The simple answer is that I feel nothing else I have ever experienced compares in the slightest, nothing in my life seems worth stopping for, there is no light at the end of the tunnel, it's just too hard to stop. Imagine feeling good about yourself, life seems good too, then when you wake up all that has changed, life is s*** again until you have a bag of gear. When you do stop, using medication such as methadone or Subutex, all you think about is how to get money to "score" - even though you don't need to, you don't feel ill, you just want it. Life is empty without it, there is nothing to replace it with, nothing to look forward to. You look at yourself in the mirror and realize how skinny and ugly you look and it just seems like such a long road to put it all right again. You just think "screw it" and carry on with the drugs. I have lost everything due to heroin, or my own lack of restraint, I'm not allowed to see my son of four. My family can't even look at me anymore. I walk with my head down at all times - my life just seems worthless without the pursuit of money for drugs by stealing. I wake up each day and think I don't want this life anymore - out stealing and scoring, I look at the Subutex - a way to change and stop and I just want to have a hit of "brown." I don't inject it, just smoke it. I am here now typing this having taken two 8 mg tablets of Subutex and all I can think is why did I take them? Now I can't do heroin for at least 16 hours - as Subutex blocks the effects of the gear. I am going crazy just sitting here trying to be normal, I don't think I know how anymore. I'd rather go out and risk my liberty for some money for gear. Heroin gives you a feeling of everything is OK, nothing is that bad and everything can wait until tomorrow. Without it life is s***. Subutex, also known as buprenorphine, is a treatment for heroin addiction that is an alternative to methadone treatment. Also marketed as Suboxone, buprenorphine works by blocking the "high" users feel when they do heroin or opioid-based painkillers. The main advantage of buprenorphine over methadone is that it is available in multidose form from a physician's office, compared with methadone which is available only one dose at a time in highly regulated clinics. It is also less addictive and less likely to be abused compared with methadone. National Institute on Drug Abuse. "Buprenorphine Approval Expands Options for Addiction Treatment" September 2002.